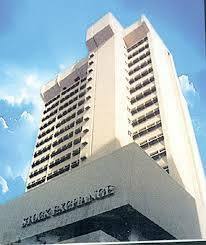 The Nigerian Stock Exchange (NSE) has said that foreign investors pulled out a total of N642.65bn (about $2.104 billion) from the nation’s stock market last year, compared to the N435.31 withdrawn in 2017. The report by Nigeria’s Punch newspaper on Friday said that the report by the NSE on Thursday in Lagos showed that foreign inflows into the Nigerian market fell to N576.45bn last year from N772.25bn in 2017. The report added that foreign portfolio investment outflow included sales transactions or liquidation of portfolio investments through the stock market, while the FPI inflow included purchase transactions on the NSE (equities only). It attributed the development to concerns over the forthcoming generation elections and rising interest rate in the United States and some other developed economies. According to the report, the Chief Executive Officer of the NSE, Mr. Oscar Onyema, had at the 2018 Market Recap and Outlook for 2019 on Monday, said that the rise in foreign outflows “highlights attenuated foreign participation due to a shift to higher-yielding assets with lower risks in developed countries, coupled with the impending political risks in the coming Nigerian elections”. The report added that the NSE Domestic and FPI Report for December showed that total transactions at the nation’s bourse reduced by 15.93 percent from N149.72bn in November to N125.86bn in December.